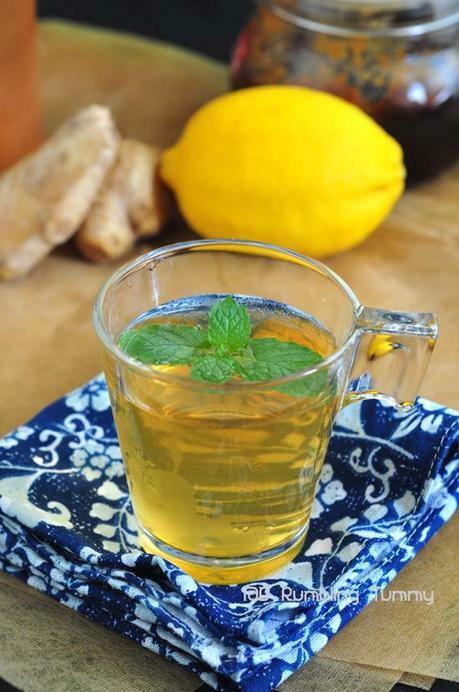 Then recently, a friend who recently visited a TCM, shared that it is good to drink ginger tea on a regular basis. Apparently, you don't need to get sick to consume ginger. His advice was to buy those from either Indonesia or Thailand. Refrain from buying from china. That is hard as I usually buy mine from the supermarket. Upon screening, I realized that all are from China! I don't know where I can find ginger that is from Indonesia in my area. I guess I will have to make an effort to hunt it down. A friend also told me that you can only drink ginger in the day and not in the night. I have yet to find out why. Do you know why? After soaking in spring temperature for more than a week, I feel irritated in this "summer" heat. Though doctor said I cannot drink cold beverage, I guess if I let it "sit out" for 5 mins is fine. Toast the ginger lightly to release the flavor. Pulse the ginger into pulp and add water. Bring to boil and lower to simmer for 15 mins. If you have enjoyed this post by Rumbling Tummy, be sure to follow her on Facebook, Instagram, Pinterest, Twitter and Google+ .